Head out on a stroll on your beautiful pony with the Playmobil Pony Walk. Place a bridle around pony’s head, make sure you’re wearing your riding helmet and hop on! The pony can be led with the rope attached to its bridle. 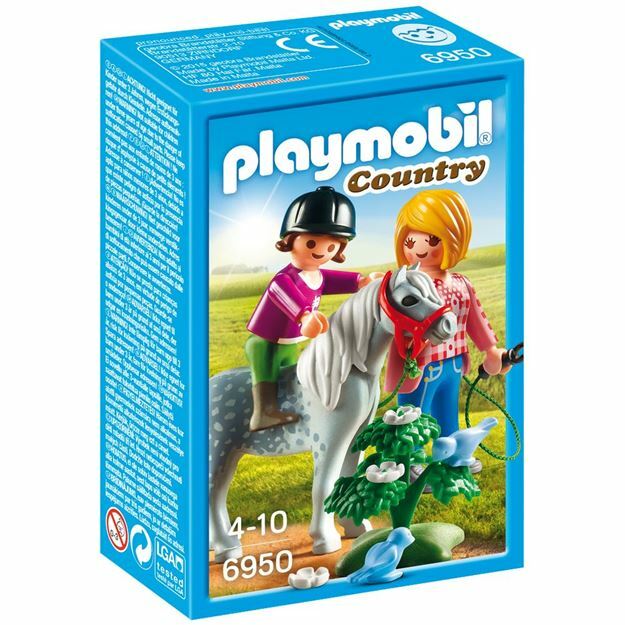 Includes: 2 figures, a pony, birds and accessories. Part of the Country and Pony range. Age 4+ years. Distributed in New Zealand by Holdson.